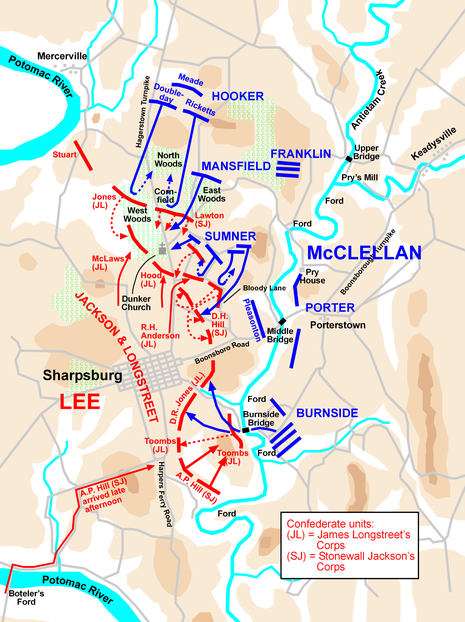 In the days leading up to the Battle of Antietam, Confederate General Robert E. Lee concentrated his invading army outside Sharpsburg, Maryland. 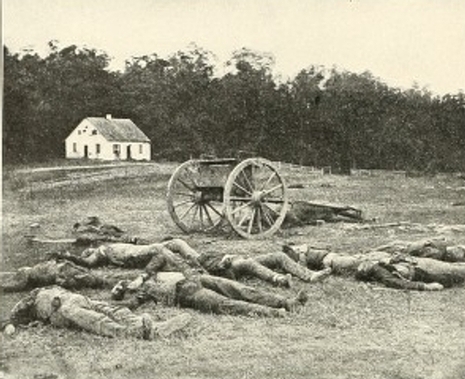 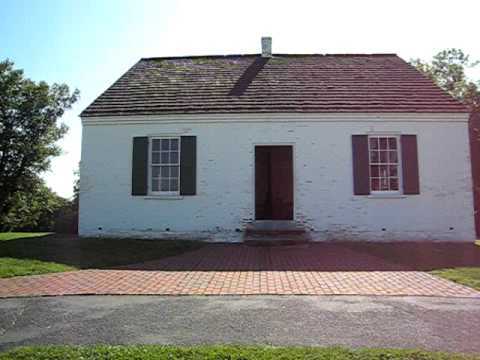 Victorious at Manassas in August, Lee's Army of Northern Virginia hoped to garner new recruits and supplies in Maryland, a slave-holding state that remained in the Union. 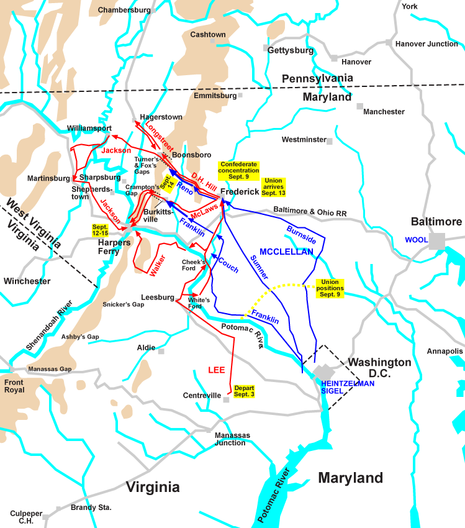 However, Union General George B. McClellan who closely pursued his rival enjoyed a strategic advantage. 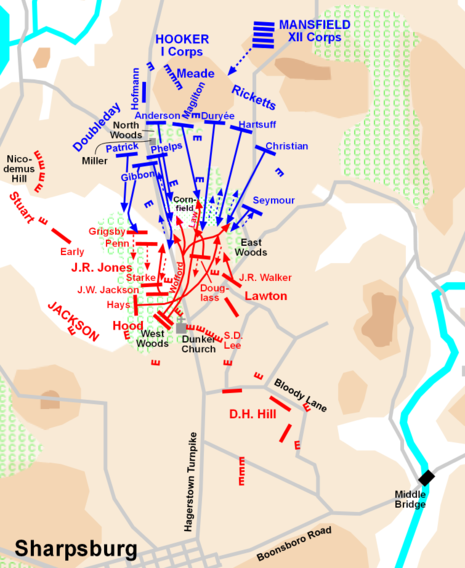 A scout had discovered a copy of the Confederate battle plan and the contents of Lee's Special Order Number 191 were well known to his rival. 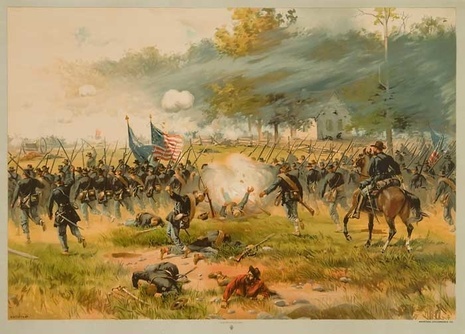 At dawn on September 17, 1862 the hills of Sharpsburg thundered with artillery and musket fire as the Northern and Southern armies struggled for possession of the Miller farm cornfield. 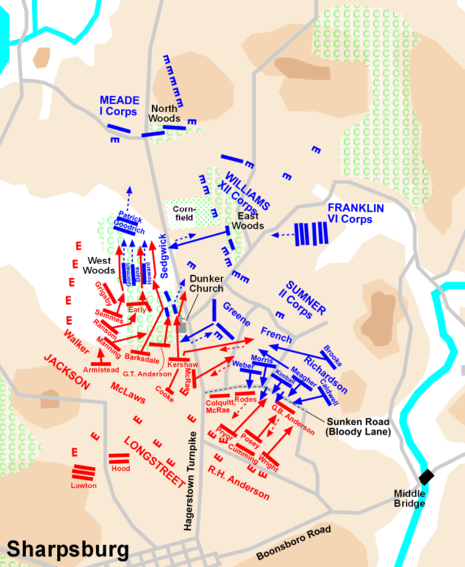 For three hours, the battle lines swept back and forth across the field. 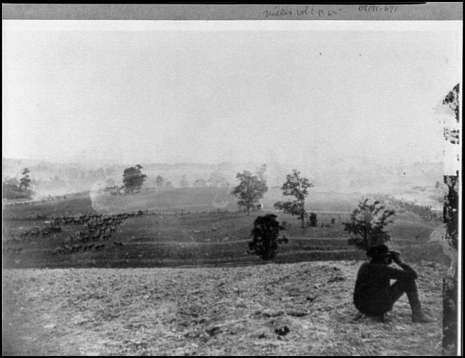 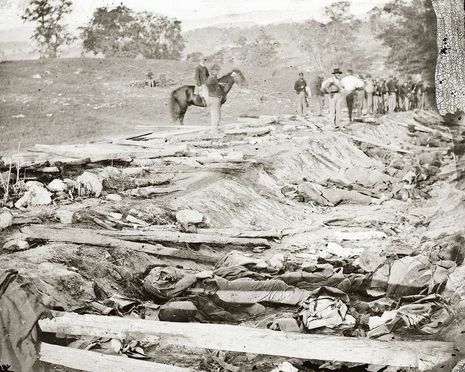 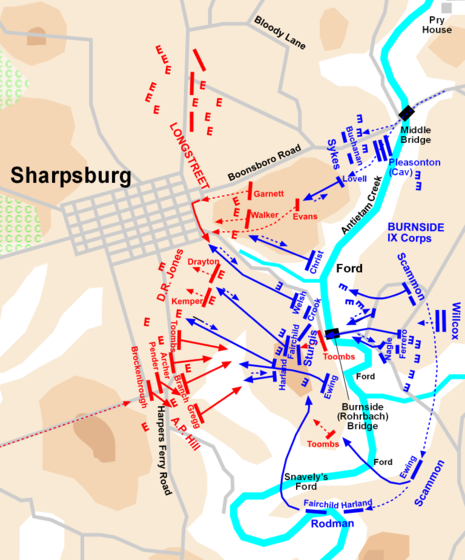 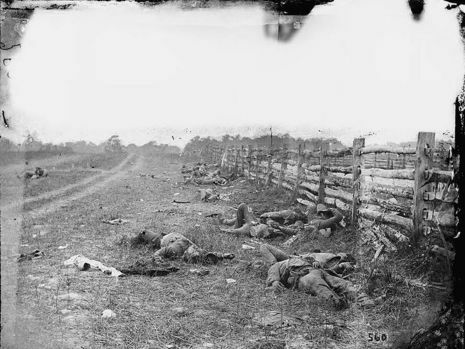 The Battle of Antietam (also known as the Battle of Sharpsburg, particularly in the South), fought on September 17, 1862, near Sharpsburg, Maryland, and Antietam Creek, as part of the Maryland Campaign, was the first major battle in the American Civil War to take place on Northern soil. 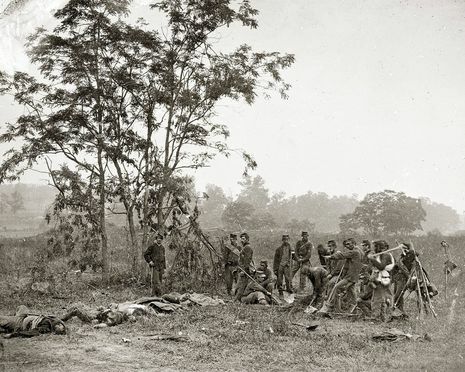 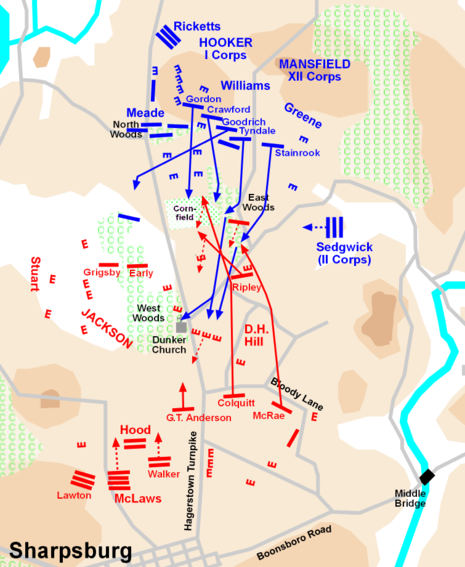 It was the bloodiest single-day battle in American history, with about 23,000 casualties.